I have actually been working on something for the past six months... I've been experimenting with iPhone development, and the first iPhone game from the BeerMogul stable is nearly ready! 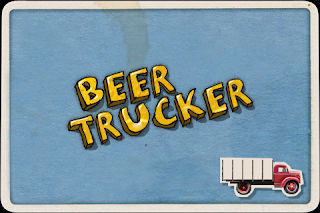 BeerTrucker is not a replacement for BeerMogul (that's still coming...), it's a new game set in the BeerMogul world. The game is played on a coaster (or beermat depending on what part of the world you're from). You own a Brewery that's producing kegs of beer and your goal is to set up contracts with pubs in the area to supply beer. The challenge is then to coordinate the trucks to get the beer delivered on time - if a pub runs out of beer the punters will soon become discouraged and you are likely to lose your supply contract. There's lots of other cool stuff - you can upgrade pubs and your brewery to get more money and functionality, you can buy more trucks, but make sure you keep an eye out for the weather - it can destroy a pub in seconds! Lots more coming soon, but right now we're looking for Alpha testers who will be happy to dedicate some time to testing April. If you are interested please comment against this post and we'll get in touch with you. So I finally sorted out the changes after blogspot stopped allowing ftp publishing of blogs - now I can start posting again!